Itchy scalp condition, also known as scalp pruritus, is a common malady with symptoms that can be highly frustrating. This includes frequent scratching and discomfort, along with signs such as scabs or flaky skin. The scalp also itches sans any skin changes. Itching of the scalp is not a severe medical condition, but it can be a sign of an underlying medical problem. Itchy scalp can be the result of a lot of medical problems. Here are the most common ones. The most well-known reason for itchiness of the scalp is seborrheic dermatitis, also called dandruff. In infants, this condition is known as cradle cap. This dermatitis or dandruff is more likely in sebaceous or oil- generating or secreting glands, including the scalp and the face. Following inflammation, dermatitis can also result in flaky skin, itching, red skin, or the formation of scales that are white or yellow on the skin. 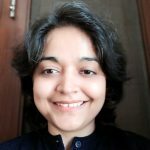 The exact factors implicated in causing dandruff can range from skin yeast overgrowth to changes in the season and hormonal stress as well as fluctuations. Dandruff refers to white greasy and thin skin flakes. It results when more dead skin cells are shed than usual. It can create a real irritation and result from other factors like improper diet, use of high-risk hair care products and diseases like HIV and Parkinson’s. Seborrheic dermatitis leads to sore scalp rash and itching. It is also caused by genetic factors or stress as well. A sensitive scalp can also result in itching. Examples of the reasons for this sensitivity range from diabetes mellitus to shingles (herpes zoster). More causes can range from medicine allergies to anxiety disorders, contact dermatitis, discoid lupus. Other conditions include head lice, hot comb alopecia caused by application of heat for styling the hair, migraines, scalp psoriasis, ringworm, and scarring alopecia. Excellent hair hygiene is necessary for a scalp that is healthy. Oily hair, when not washed well enough on a regular basis, causes skin cells to build up on the scalp and lead to itching and dandruff. Hair care products also can cause itchy scalp as well as hair loss. Proper hair hygiene by washing the hair on a regular basis and using quality shampoos can be the way out. When the skin of the scalp becomes dry, it loses its protective layer of oil and becomes likely to be infected in various ways. Strong weather conditions and indoor heat or dry air are the factors that come into play. Equally essential is hair washing through the use of hot water and hormonal imbalances. The best cure for a dry scalp is the choice of a correct shampoo and good hair care. Also known as Tinea Captitis, scalp ringworm is an infection caused by the fungus that occurs more in pre-school children but also results from adulthood. Infection caused by fungi found on the skin, these conditions overgrow leading to a scalp itch. The symptoms associated with tinea captitis include roughness, the thickness of the inflamed areas, itchy scaling and formation of yellow crusts. The infection can also cause lymph nodes on the necks back to be enlarged. Oral anti-fungal medication is necessary for curing this condition. Head lice are small brown insects living on the scalp. This can cause itchy scalp on account of allergic reactions to the lice’s waste or saliva discharge. It is not just common in children, but adults as well. These are spread by head to head contact and lead to itching if the scalp has certain sensitivities. This is a skin condition associated with dry, scaly itching and is difficult to distinguish from other conditions. It affects the hairline at the head’s back. Caused by a large shedding of skin cells, it can lead to an extremely itchy scalp. For curing this condition, it becomes essential to apply anti-dandruff shampoo and scalp applications, phototherapy, and coconut oil. In more advanced cases, serious treatment may be needed. The red itchy scalp can result from allergic dermatitis. Hair dye or other hair care products can work as allergens leading to itching scalp. This itchiness lasts for a short while and vanishes accordingly. Antihistamines and corticosteroids also work when it comes to coping with itchy scalp resulting from this reason. Itchy scalp can also result from an infectious disease known as chicken pox. It exists as an itchy, crusting red rash over the scalp skin. Chickenpox is a common condition affecting children and leading to itchy, spot-like rashes. The skin condition is mild and heals on its own within some weeks. It can be severe for certain ages, like infancy or pregnant women and those with a weak immune system. Treatments can range from paracetamol to calamine lotion and moisturizers. This dome-shaped bump can occur on the armpits, extremities, scalp, neck or other parts of the body. The bump that results can be extremely itchy and other symptoms include oil filled, enlarged hair follicles resulting from blockage. Some of the other causes include contact dermatitis, scalp sunburns, acne, folliculitis, tinea amniantacea, and lichen planopilaris. Poor diet, migraine, hard water exposure of the hair and excessive stress or anxiety are other problems. Allergic reactions can result from hair care products like shampoos as well as nutrition or diet. So many foods like peanuts, soy, processed sugar lead to inflammation and fungus. Until one avoids them, there is likely to be a problem. If shampoos are filled with chemicals, contact dermatitis or allergies may result. Psoriasis is one of the chronic autoimmune conditions leading to raised, red scaled patches on the scalp or skin. Psoriasis is hereditary and reported in those with a genetic background of this disease. An itchy scalp can lead to painfulness or tingling. Scratching or itching in the scalp can cause pain as well. 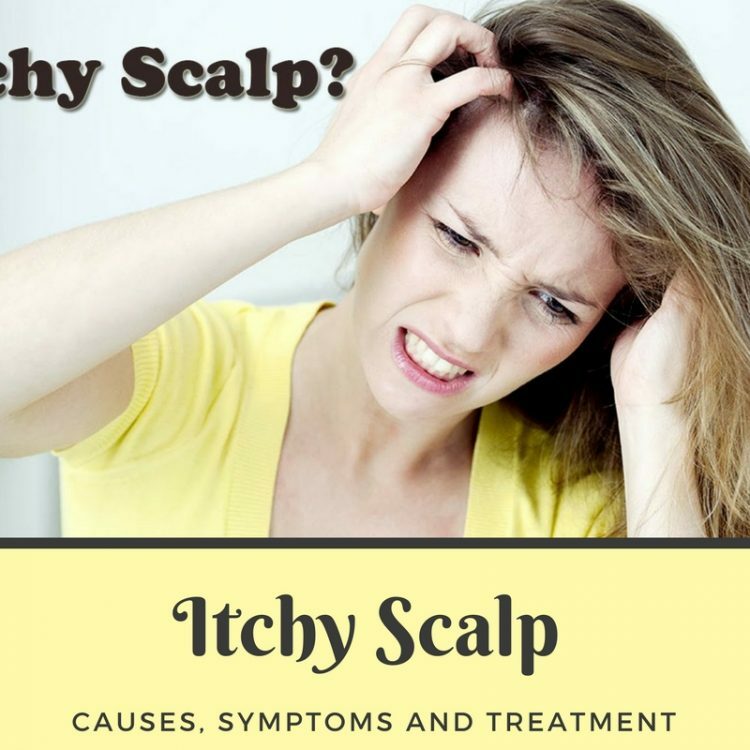 Symptoms that come along with itching scalp include bald patches, irritated or dry skin, slow or less fever, pus sores, redness, scalp scales or patches, scalp swelling and sores on the scalp. Itching can be felt anytime during the day or night. It has been found that itchiness worsens around nightfall. Symptoms of scalp itching depend on causes. Severity, onset or duration of symptoms depend on underlying causes. Symptoms that exist along with itchy scalp, include redness of the affected scalp skin, swelling of the scalp, irritation and more. Scalp itching can be symptomatic of something serious with other organs as well. Serious symptoms may accompany scalp itching. Itchy scalp can cause serious symptoms such as a headache, problems in breathing or more. Itchy scalp is accompanied by disturbing scalp conditions as well. Once diagnosis takes place, hair and scalp stimulants, conditions, shampoos, and medicated lotions and creams can be used. Another symptom of scalp irritation is the urge to scratch the skin of the scalp. Itchy scalps at night occur along with other symptoms like patches and bumps on the scalp, redness, and dryness. Itchy scalp due to internal conditions may also be asymptomatic. The symptoms along with the itchy scalp at night are based on the causes. If the itchy scalp does not go away in some days and is appearing along with other symptoms like hair loss, sores, and pain, it is imperative to seek medical attention. Itchy scalp can result from fungal infections, lice and other conditions that do not disappear without medical treatment. Along with the physical examination of the scalp, the scraping of the scalp may also take place. Skin cells can also be tested for bacteria, lice or fungi. Doctors can also diagnose the condition through a collection of medical history and careful examination. Treatment for the condition depends on its causes. Dandruff, for example, is treated through regular hair washing with specific topical agents. Each medication works in a certain way, reducing oil on the scalp or eliminating the fungus. Medications may also be used to treat itchy scalps. These include antifungal creams, keratolytic, coal tar and pyrithione zinc. Head lice need medical treatment such as cleaning the head with pediculicide that destroys head lice. A fine-toothed comb can also remove active lice. Medicines can also be used to kill lice eggs, while those living inc lose contact may require preventative treatment. Clothes, towels, and bedding that come into contact with infected persons can be washed or cleaned for temperatures higher than 130 degrees F.
Itchy scalp results from allergic reactions as well, so the product being used should be stopped immediately if that is the cause. Reactions that are severe need to be taken care of. The best way to study the itchy scalp causes is to have a medical professional study the scalp. Excellent hair care can remove built-up oils. Washing hair in mildly warm water can avoid irritation and dryness of the scalp. To lower the chances of developing an itching scalp by using products that contain chemicals, dyes and fragrances are important. Avoiding physical contact with those with head lice can prevent its spread. This includes common use of helmets, pillowcases, towels, hats and brushes or combs. Moisturize your skin using a moisturizing agent. Following the bathing or shower, relieving itchiness and topping up skin oil can make a difference. Changing the bed sheets is important or exposing the bed linen to direct sunlight is also important to eliminate dust mites and bacteria. A mattress protection or flipping the mattress weekly is essential to remove microscopic organisms. Additionally, you need to use lightweight fabrics that don’t raise body temperature as this can aggravate itching. Sleeping in a well-ventilated room reduces body temperature and sweating that stimulates dryness and itchiness of the scalp. Using pest control to eliminate lice, scabies, mites, and fleas is important. Scratching the itchy scalp can aggravate bacterial infections so this needs to be avoided as well. There are many medical and home remedies that can be used to prevent itching of the scalp. These include coconut oil, tea tree oil, lemon juice, baking soda, aloe vera, apple cider vinegar, lavender, and neem oil. Itchy scalp treatments can result in mild or severe symptoms and may need medication accordingly. Medications for itchy hair include oral antifungal medicines like terbinafine or griseofulvin. Medicated shampoos for curing dandruff are also important. Additionally, antiviral drugs and oral or steroid injections may be used. Psoriasis induced itchy scalp includes salicylic acid and sulfur. Antihistamines and corticosteroids are also prescribed for treating itchy scalp. Phototherapy with UV light and surgical procedures as well as antibiotics for bacterial infection can also comprise the medication for treatment of itchy scalp. A lot of home remedies can be used to treat the itchy scalp. These include prescribed or OTC drugs. The common ingredients that can be used for halting itchy scalps and reverse hair loss conditions. On account of antiseptic property, lemon juice causes itchiness and dryness of the scalp. It beats dandruff induces itchiness. You can apply lemon juice on the scalp and dilute it for sensitive skin and then wash it off. Another way is to mix yogurt and lemon juice and apply it on the scalp with mild shampoo. The process can be repeated till dryness and itchiness disappears. This is an amazing skin moisturizer that causes itchy scalp relief. It erases skin dryness and offers soothing benefits. Heat the oil and apply it on the scalp or mix with shampoo and then wash it off for best results. This is a potent antifungal, antibacterial and anti-inflammatory product suited for different skin conditions including an itchy scalp. Either you can dilute the tea tree oil in vegetable oil and apply to the scalp or add it to baby shampoo and wash your hair till the itchiness goes. This product hastens skin relief by exfoliating the scalp and management of dandruff due to excessive fungi. To combat the dryness and itching, mix water and baking soda. Applying this paste on the scalp can achieve better results. Rubbing olive oil on the scalp can also benefit and erase the itchiness. Aloe Vera gel is also an effective means of curing itchy scalp. It moisturizes the scalp and halts extreme dryness and itchiness. Spreading fresh gel on the scalp using fingers and washing it off with mild shampoo can work wonders. Try applying apple cider vinegar, neem oil, onion juice, eucalyptus and lavender oil, witch hazel, argan oil, peppermint oil or Listerine. Fenugreek seed paste, sesame oil or vinegar topical applications can also be helpful in warding off itchiness of the scalp. Yoga, Tai Chi, and other exercises can also benefit the scalp and reduce inflammation and itchiness. The National Foundation for Psoriasis indicates that patients can have positive effects due to qigong, tai chi, yoga and exercise in general. Proper exercise can control breathing, strengthening and stretching exercises along with meditation to improve blood flow for relieving stress. Cleaning your hair, brushes, and combs regularly is also a good way to ward off infectious conditions like scalp ringworm. Using a scalp mask with natural ingredients like honey hair, avocado and banana can help. A hair mask can also fend off bacteria fighters and make a difference. Conditions like candida, fungi, and inflammations can result from the food eaten. Avoiding inflammatory foods is essential for which processed sugar, gluten, dairy, soy, alcohol, and peanuts must be given a wide berth. Antifungal foods like coconut oil, ginger oil, apple cider vinegar, banana, avocado, and flaxseed are only some of the many foods for warding off the itchy scalp. A healthy scalp is a must for lustrous locks, health, and vitality. Choose healthy hair care regimens to avert itchiness of the scalp and avoid this persistent and frustrating problem. The right hair care, hair therapy, hair solutions, diet and exercise which promotes relaxation can be the key to a scalp that is 100% healthy.